MagicMountTM is an award-winning, innovative magnetic mounting system for conveniently mounting smartphones, tablets and other mobile devices to a wide array of surfaces. Once the MagicPlateTM is applied as shown further down this page, just hover your device near the magnetic surface and it instantly locks securely in place. 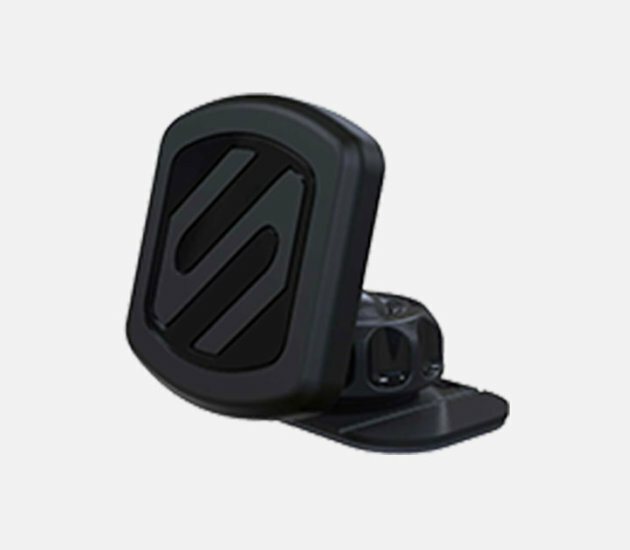 Its sleek cradle-free design uses high-powered magnets to secure your devices where you use them most. The magnetic will not damage your smartphone, tablet, GPS unit, etc. Due to its open design, devices can be mounted in a 360° fashion permitting countless landscape or portrait viewing angles and full access to device controls and ports. MagicMountTM makes hands-free calling, GPS navigation, audio and video media streaming and internet browsing a breeze. On the road, at the office, at home, everyWHERE. There is a MagicMount to meet your needs!